Add Energy, an international energy consultancy provider, and Trendsetter Engineering, a premier provider of specialized subsea solutions, have teamed up to develop the Relief Well Injection Spool (RWIS) Lite, designed to reduce the complexity of relief well operations on a global scale, when coupled with the original RWIS product. The highly simplified RWIS Lite is a flow spool without controls, allowing operators to install BOP’s above the spool, greatly reducing the complexity of hooking up kill vessels to the system. This enhancement excludes gate valves, accumulators, ROV panels and a BOP, reducing the complexity of the subsea hardware configuration. In addition, the deployment method is a duplicate of the original set up of the RWIS, so it can be run off a vessel of opportunity or a mobile offshore drilling unit (MODU) using either a drill pipe or a wire line. RWIS Lite will be increasingly useful for relief well operations as it makes field installations a standard subsea procedure. Fine-tuning field operations is a long and ongoing process, but the RWIS Lite is a leap forward in improving efficiency in the industry. 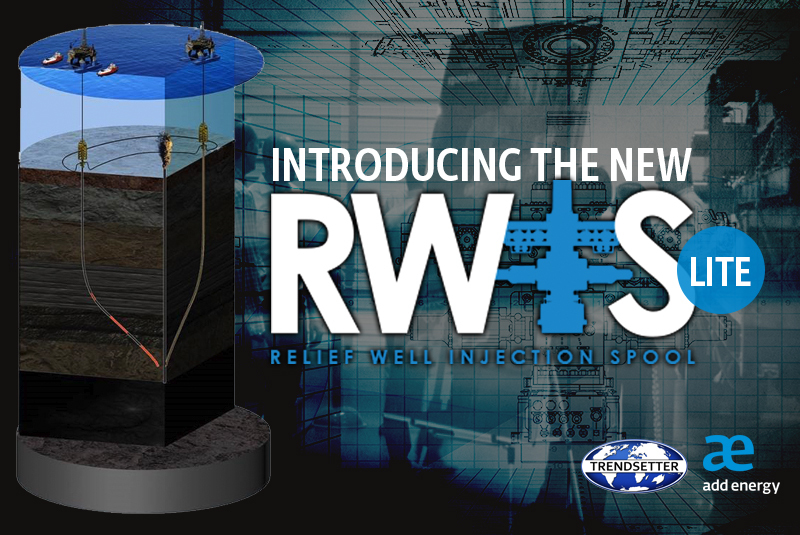 “The RWIS Lite greatly enhances the ease of installation & operation of an RWIS relief well response. The addition of the RWIS Lite makes relief well operations a standard subsea installation procedure instead of a unique one that requires vessel modifications,” said Brett Morry, Global Technical Director of Trendsetter Engineering. For more information of the RWIS Lite and how it can augment your RWIS solution, please visit addenergy.no, or contact Morten Haug Emilsen.